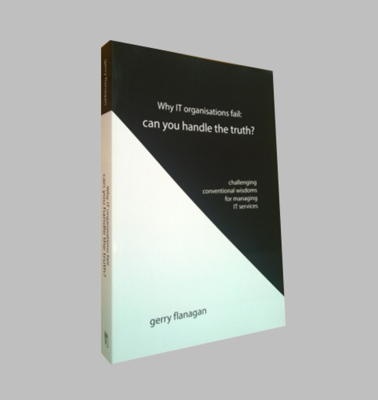 Hi, my name is Gerry Flanagan and I have just published a book entitled "Why IT organisations fail: can you handle the truth?". 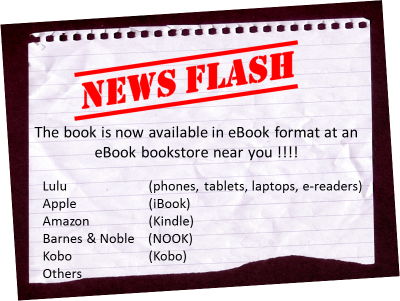 The purpose of the book is to challenge what we, in the IT industry, have come to believe are conventional wisdoms for managing IT services. Having spent 25+ years in IT, from Computer Operator to Global Services Manager in a multi-billion dollar global organisation to senior management in one of the world’s leading consulting and outsourcing services companies, one thing I've learned for sure....these wisdoms are not wise. In the book I've examined why these conventional wisdoms continue to let us down. Discussing such topics as best practice service management, outsourcing, IT management, organisation structures, customers and consumers, and leadership among others, I explore the reasons for their failure and offer suggestions on how to avoid the mistakes of the past to create the new conventional wisdoms of the future.